Very good breakfast delivered to room.very clean and linen/towels changed regularly.good bed with extra blanket.good shower and toiletries. Clean apartment with jakuzzi, but not like in pictures. Reality is different. Kind and helpful man from reception. The room was designed with special attention to details; the design, lighting, and facilities. The hot tub was very nice in such a cool weather in October, it made the room a bit humid but not suffocating, the view was a bit from the side and we were a bit visible for anyone in the street being on the ground floor, but we closed the curtains a bit and it was fine. There was a good variety for breakfast options and was very fulfilling and delicious. The owner is very friendly and helpful. It was a wonderful stay. Nikolas and all the people in the hotel were so much gentle and kind, the service was so good. If you don't know where to go you can ask at the reception, they will be happy to suggest where to go. you'll have breakfast in bed if you decide to. Public transport easy to get. BEAUTIFUL view and if you wake up early you can catch the sunrise just on the sofa of the reception if you are a lover of this. Staff were friendly and hospitable, very welcoming and making you feel part of the family. Nothing was too much trouble. Rooms were spacious, clean and had a great view over the caldera. We had 2 balconies. Full sized fridge and plenty of kitchen space. Breakfast was delivered to your room at the time you requested, it was plentiful and usually had something extra. Hotel over the road allows guests to use their pool, their restaurant is also available and they will even allow take away to your room. She even offered to bring it to our room when one of the kids was unwell. Bathroom was large, water was hot and at a good pressure. WiFi was great. I loved everything about this place!! Amazing staff, facilities and views. Lock in a great price for William's Houses - rated 9 by recent guests. 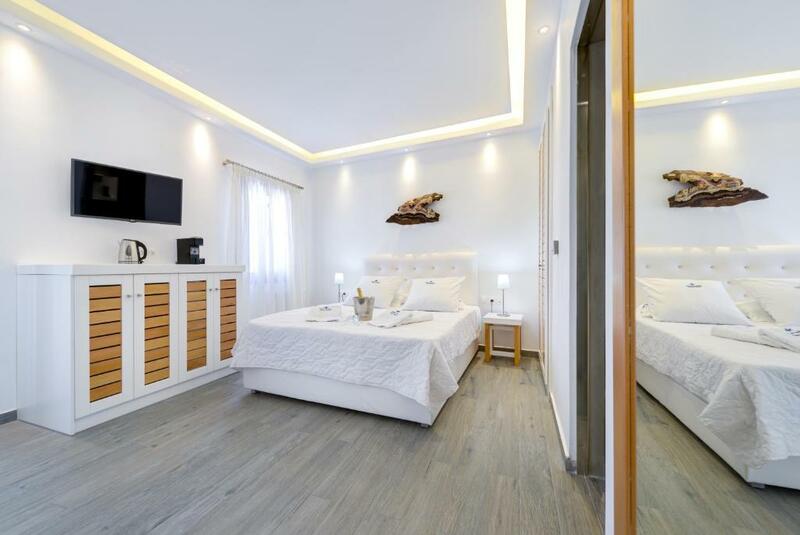 Located in Akrotiri Village of Santorini, William’s Houses features studios and apartments with a balcony overlooking the Aegean Sea, the Volcano and the Caldera. 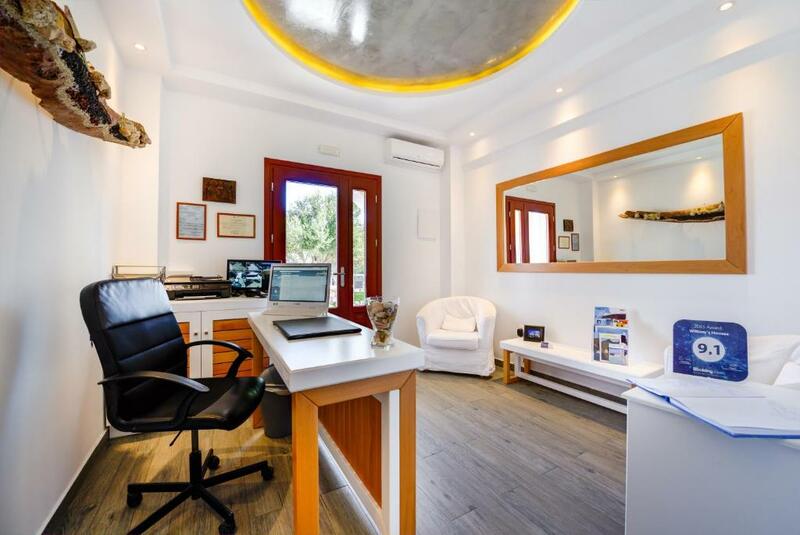 The property lies within 1.6 miles from the red sandy beach and offers free Wi-Fi in all areas. Elegantly decorated with soft colours and white furnishings, the air-conditioned units of William’s have a seating area and a kitchenette with fridge and cooking hobs. Each studio and apartment is equipped with a safe and a flat-screen TV, while some also include a washing machine. Guests can start their day with a la carte breakfast served daily in their room. Restaurants and mini markets can be found within a short walk from the property. William’s Houses is situated 1.2 miles from the Archeological Site of Akrotiri and 6.8 miles from the capital Fira. 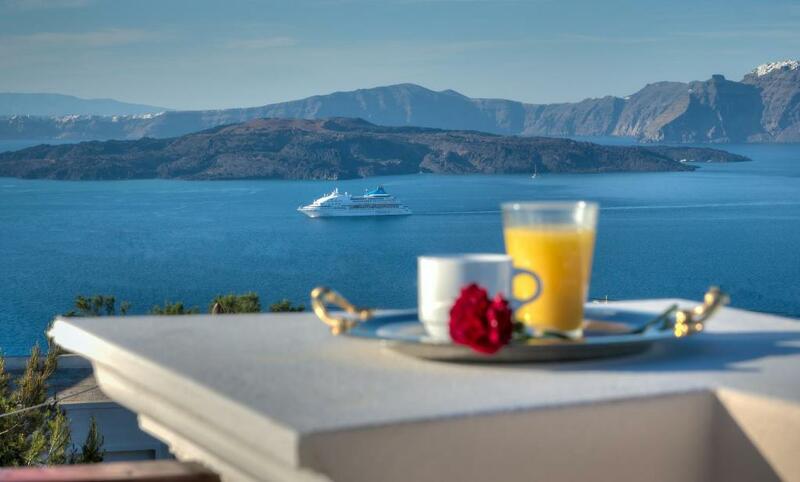 Ormos Athinios Port is at 9 km, while Santorini International Airport is 8.7 miles away. Car rental services can be provided and free private parking is possible on site. William's Houses has been welcoming Booking.com guests since 11 Jan 2013. When would you like to stay at William's Houses? 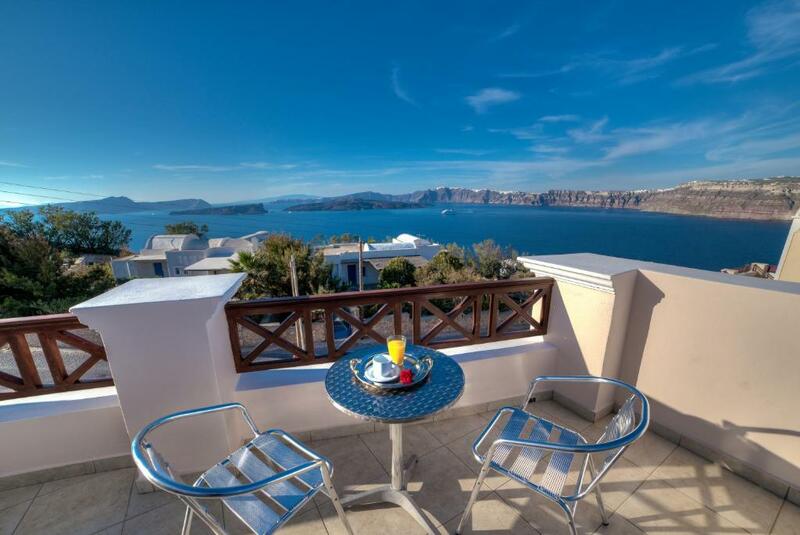 This elegantly decorated studio enjoys unobstructed views over the Aegean Sea, the Volcano and the Caldera from its balcony. It features a seating area and a kitchenette with fridge and cooking hobs. Air conditioning, a flat-screen TV and free Wi-Fi are available. 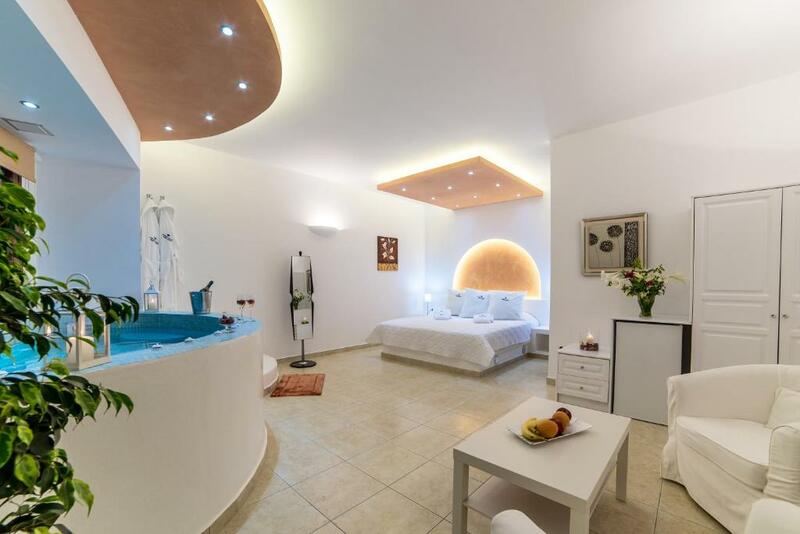 This elegantly decorated, split-level studio enjoys unobstructed views over the Aegean Sea, the Volcano and the Caldera from its balcony. It features a seating area and a kitchenette with fridge and cooking hobs. Air conditioning, a flat-screen TV and free Wi-Fi are available. Offers view to the sea and to the volcano. It is fitted with a double bed and 2 armchairs. Offering an outdoor hot tub, this air-conditioned studio is located at the ground floor and features views over the caldera. It has flat-screen TV, cooking hobs and mini fridge. This quadruple room features air conditioning, seating area and kitchenette. This studio features a electric kettle, tile/marble floor and balcony. This suite has a sofa, soundproofing and balcony. 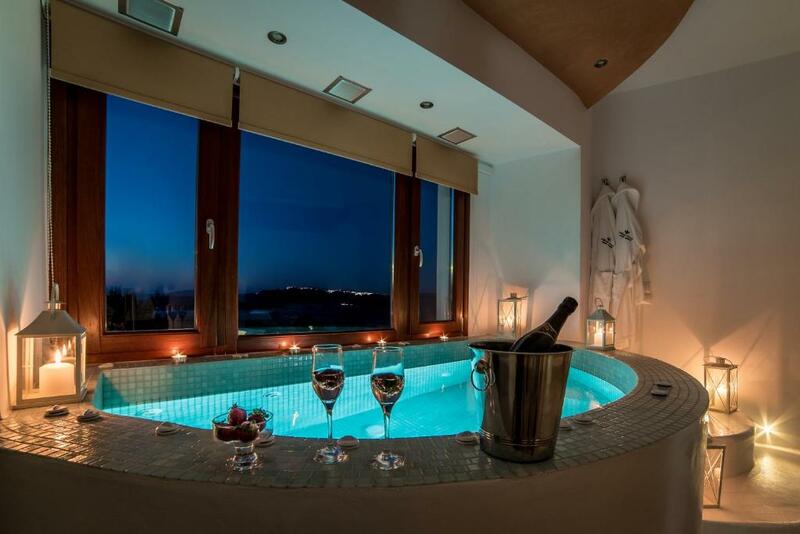 Opening to a terrace with Caldera views, this air-conditioned suite features an outdoor hot tub and sun loungers. The private bathroom is fitted with a shower. The seating area comes with a sofa bed. illiam's Houses is located in Akrotiri Village, on the southern side of Santorini island with a panoramic view across Caldera. 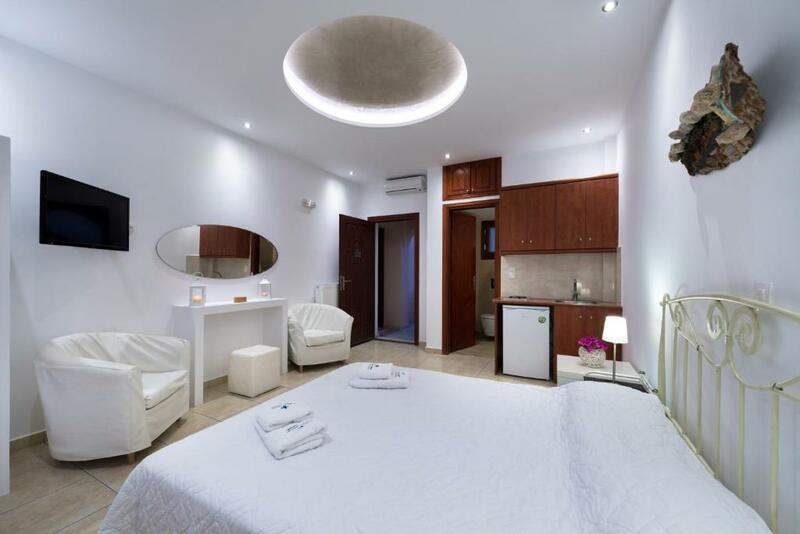 It consists of apartments - mezonette - rooms, fully equipped with all modern amenities. House rules William's Houses takes special requests - add in the next step! William&#39;s Houses accepts these cards and reserves the right to temporarily hold an amount prior to arrival. William's Houses accepts these cards and reserves the right to temporarily hold an amount prior to arrival. Please inform William's Houses in advance of your expected arrival time. You can use the Special Requests box when booking, or contact the property directly with the contact details provided in your confirmation. No kitchen bin.no mirror in main room.minor details though.overall very good place. We were greeted on arrival by Nikos, a very friendly host. The apartment was for our family of 4 adults. It was perfect with 2 large beds, 1 in a separate bedroom and 1 in the main living area. There was a full kitchen with fridge, stove, sink, dishes, etc. The small hotel next door has a pool which we could use for the price of a coffee or pop, although we had a very good lunch there on the poolside terrace. 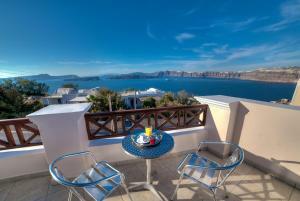 The view from the balcony of our apartment over the caldera was beautiful, quintessential Santorini! 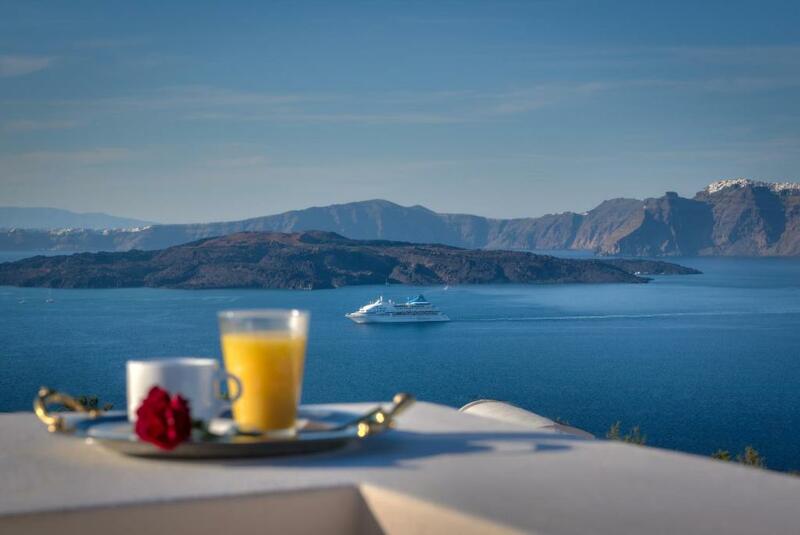 We enjoyed a nice breakfast out there, delivered to our room, at the time we’d requested. Now that’s good service! Very good value and would highly recommend if you have a car. The provided air conditioner was not sufficient to keep the loft cool. Very warm nights in the loft/sleeping area even with windows open. Need a taxi to explore other parts of the island. Too dangerous to rent a car or an ATV. The staff was very friendly and always there for whatever assistance was needed. The breakfast every morning was also very good. Within walking distance of a small town offering restaurants. Quiet side of the island of Santorini. Highly overpriced,nothing like the pictures. I was disappointed with the room itself. The location, the cleanliness and the excellent Caldera view. There’s nothing I can say that I didn’t like. The location was perfect right by the Red beach. The aircon in the master bedroom didn’t get very cold, the main living space where the kids was sleeping was nice and cold but the other one blew quite warm. Needs a new shower head. It’s not very close to much, didn’t bother us, we walked to restaurants (500m+ depending upon where you go) and the beach nearby is not easily accessible.